The increase in the slave population was associated with the growth of the burger population and the expansion of agriculture. Cape Town expansion also led to the increase in the number of slaves. Slaves lived and worked under harsh conditions with long working hours maintained by the use of force. For serious offences slaves were hanged or broken at the wheel with coup de grace or without coup de grace. Slave consciousness of injustice and awareness of issues of abolition of slavery in other parts of the world influenced two significant slave revolts in the Cape Colony. The first ‘mass movement’ against slavery and oppression in the Cape occurred in 1808. Stories of slave uprisings in the Americas and the Caribbean, and news of the abolition of slavery circulated in the Cape reaching different people including those who were enslaved. This inspired an ethnically mixed group of people such as a slave tailor named Louis from Mauritius, two Irishmen, James Hooper and Michael Kelly; another slave, Jeptha of Batavia, two more slaves Abraham and Adonis. This group was later joined by another Indian slave and two Khoi men. This group planned to march from the rural districts of the Cape gathering slaves on the way to Cape Town. Upon arrival they hoped to seize the Amsterdam Battery, turn the guns on the Castle and then negotiate a peace deal which would involve establishing a free state and freedom for all slaves. On the evening of 27 October 1808, on the farm of Gerhardus Louw, Vogelgezang, just north of Malmesbury, Louis arrived on horseback dressed as a visiting Spanish sea captain. Hooper and Kelly rode up by his side, disguised as British officers. The disguised band managed to convince the absentee farmer's wife to hand over all their slaves into the hands of the 'military' party, give them food and a place to sleep. The next morning the party proceeded from farm to farm, persuading slaves and Khoi servants to join them. Only in one instance did the march encounter resistance. In fact, overall there was surprisingly little violence given the magnitude of the insurrection. Soon the group swelled to 300 mutinous slaves and servants. News of the revolt soon reached the Governor of the Cape, who ordered Infantry and Cavalry to ambush the insurrectionists at Salt River just outside the city. The ambush worked as 326 marchers were captured. 47 were put on trial including the leadership group of Hooper, Kelly, Louis and the two Khoi leaders. Nine were found guilty of treason and sentenced to be hanged, including Louis of Mauritius and James Hooper. Another 11 were sentenced to death as well, for 'active participation'. Others were given lesser sentences including imprisonment on Robben Island while 244 slaves were returned to their owners. In 1825 a slave named Galant who was aged 25 at the time led a revolt that consisted of twelve slaves and Khoisan laborers in the Koue Bokkeveld. Galant and the people that he mobilized killed his master and two other whites before fleeing into the surrounding mountains. A commando was dispatched from Cape Town and captured Galant and his supporters. They were tried and convicted of murder resulting in the execution of Galant and two others. The primary reason for Galant’s rebellion was revealed in the subsequent investigations. Galant was subjected to severe beatings by his master who sent him to prison for discipline. He thrice reported to colonial authorities the ill treatment he received from his master but the authorities took no action. Galant also had reported that his master unfairly took his possessions but his report also came to naught. A crucial aspect of the uprising was its timing. In 1823 the Governor Somerset issued a proclamation announcing the amelioration of slavery. For instance, slaves were given the right to marry, be baptized as Christians, testimony of Christian slaves became acceptable in court, minimum and slave working hours were set for winter and summer, slave children under the age of ten were not to be sold. Galant and his band became aware of the slave amelioration debate in the farming community, but misunderstood these to mean that slaves were to be freed. Driven by ill treatment of his master and the belief that their masters intended to imprison them in violation of the intention of the government to release them, Galant launched the 1825 upspring. The uprising demonstrates that slaves and Khoisan people kept themselves informed of developments and fought against injustice. Historian Robert Shell points out that this slave rebellion was not an isolated incident, but part of a pattern of recurring of slave and Khoisan slave uprisings in the Cape Colony farms. As noted in the cases above, slave resistance incorporated other groups such as Khoikhoi and displaced San communities. Some slaves ran away from their masters. For instance, in 1655 one of the few slaves already at the Cape ran away and was never seen again. In June 1658 seven Angolan slaves (five men two women) that had arrived on the Amersfort ran away and were last reported by Khoikhoi to have been seen in Saldanha Bay. By August of that year 28 slaves were reported to have deserted their owners. Some runaway slaves established maroon communities that survived away from the control of their masters but not necessarily away from the colony. The Hangklip (or Cape False) and Table Mountain slave communities are two examples that thrived outside the control of the Cape government. Hangklip survived primarily because of proximity of the mountains to the coast, the former provided security while the latter provided food such as fish and mussels. Furthermore the community was located in areas where there were few access routes in place and an invading force could be spotted. Commandos attempting to raid the community returned empty handed or with slaves that were not connected to the Hangklip community. Guns were acquired for defence but these needed a regular supply of gun powder and gun flints. Consequently the maroon community was never able to cut itself off from the rest of colonial society and for this reason they were vulnerable. If they attacked wagons crossing the Hottentots Holland Mountains, they exposed themselves to the possibility of recapture. Although they could to some extent live off fish caught from the ocean, mostly they were dependent for their survival on goods obtained from slaves who lived on surrounding farms, and from other runaways who lived as far away as Table Mountain across the Cape Flats. Leander Burgis the leader of the community visited Cape Town several times to obtain supplies for his group. 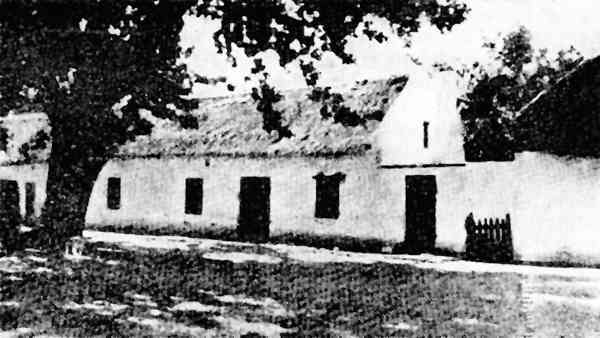 Despite attempts to destroy the Hangklip community by the Cape government and internal squabbles, the community survived from the 1720s to the 1830s.